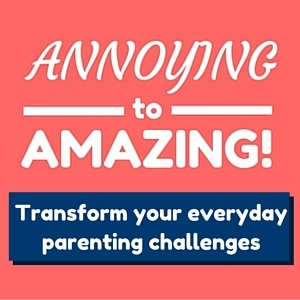 TRANSFORM Your Everyday Parenting Challenges! - Feel more confident as a mum again! In fact, it's probably often the opposite of how you thought it would be when you first held your child as a newborn (remember that?!!). I'm sure you've had times when you feel overwhelmed with rage or frustration. When you feel hopeless at trying to be the parent you want to be. 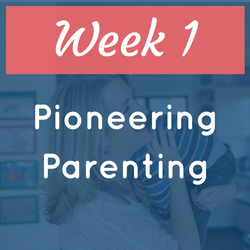 Parenting can be amazing & rewarding, but it can also be difficult & emotionally draining. Which leads you to shout or become harsh. Which, as we all know, isn't ideal! If any of this sounds even vaguely like you - you're in such good company! 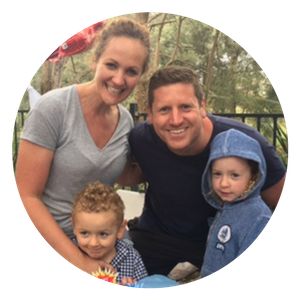 "We joined the course as at times, my husband and I are struggling with our 6-year old strong will child. I enjoyed the course from the very first day. 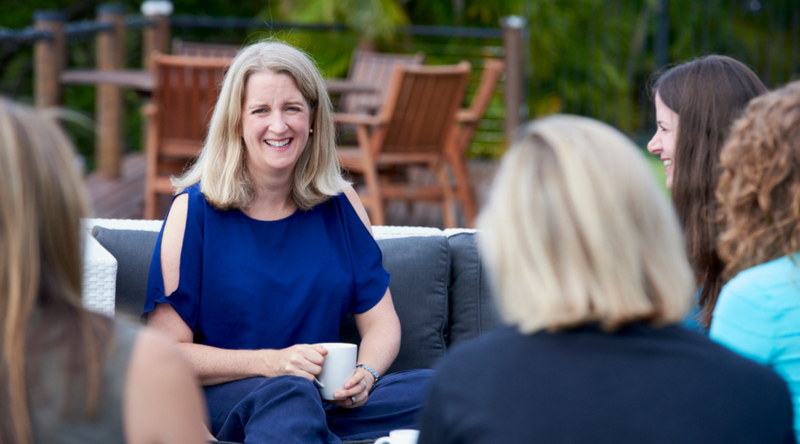 It's well structured, tackles one issue at a time, examples are plenty and some are from Helena's real life which makes the course seem like a friendly chat among friends with the same parenting problems. It also made me feel I'm not alone in the universe and there is a way to overcame struggles. Receive regular emails each week with inspiration, information & links to your videos, masterclasses, worksheets & our weekly Q&A sessions. 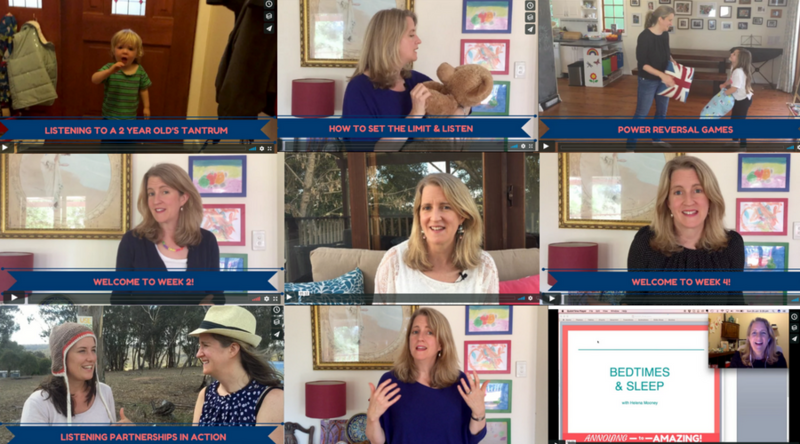 Short, easily digestible videos that not only describe what to do, but also show you how to implement the strategies with real life examples with my own children and role-plays of dealing with challenging behaviour. Or download them & listen on the go. 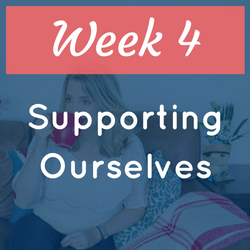 Be supported by myself & other parents who really understand the day to day struggles and will cheer you on as you implement the new strategies, support you in the difficulties, and share their own experiences. This is the week the transformations begin! You'll learn the fundamentals to this approach and understand why traditional discipline methods are ultimately ineffective & unhelpful. You'll find out more about the brain & can start implementing one of the most effective strategies straight away. This is the fun week! Play is AMAZING and you'll really see why. 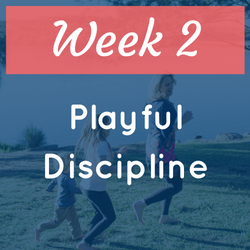 Understand the principles behind using play as a discipline tool and discover a ton of easy, fun games you can immediately play with your kids. And then see the results & have fun! Tears & tantrums. Not fun exactly, but necessary and beneficial. You'll find out why AND how to actually be with your child when they're having a massive cry or tantrum. Chances are it'll be different to how your parents treated you, so it's really helpful to see this in action - as you'll see me being with my own children. I know you know about the oxygen-mask analogy, but how often do you implement it into your day to day life? We can't be the parents we want to be if were not looking after ourselves & receiving support. This week it's all about YOU & I'll introduce you to a revolutionary strategy to really help you navigate the highs & lows of being a mum. 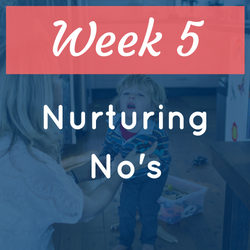 Learn how to bring limits & say "No" lovingly & effectively - without shouting or 'being mean'. Staying connected with your child during challenging times brings the greatest transformations of all. You'll see how this works in real life with videos of me being with my son, plus I role play with another mum who's a very convincing angry child! The first of 3 Implementation Weeks. Now you get to focus on particular 'projects' with your children in areas that need the most attention. 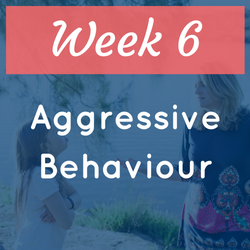 This week it's all about aggression - one of the most challenging behaviours with our young children. 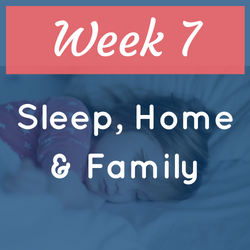 This implementation week is all about focusing on bedtimes & sleep, sibling rivalry, travelling, difficult situations with other children, managing your own parents(!) about parenting your children. Our 3rd implementation week tackles fears & anxieties. 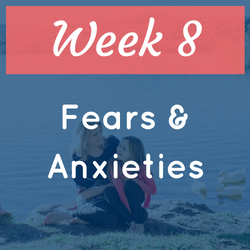 We'll look at helping our children with their big emotions and any anxieties, including that biggie of separation anxiety. 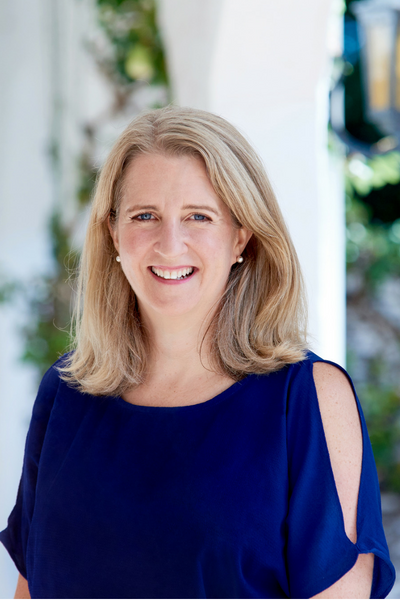 I'll also talk about what you can do when you're having a hard time in general, and in particular if you're going through a divorce or separation. 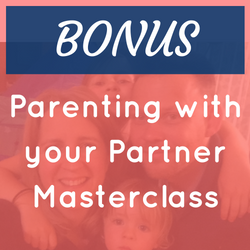 Learn how to partner effectively & respectfully with your Partner about parenting. Reduce conflict & bring harmony to your relationship as well as your children. 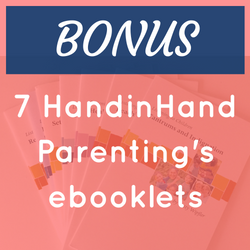 Download 7 fantastic Listening to Children ebooklets from HandinHand Parenting to compliment the learnings from this program. 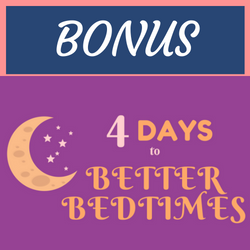 If you're struggling with sleep, then you'll LOVE this simple 4 day program to make bedtimes better! We Start Monday 1 April! 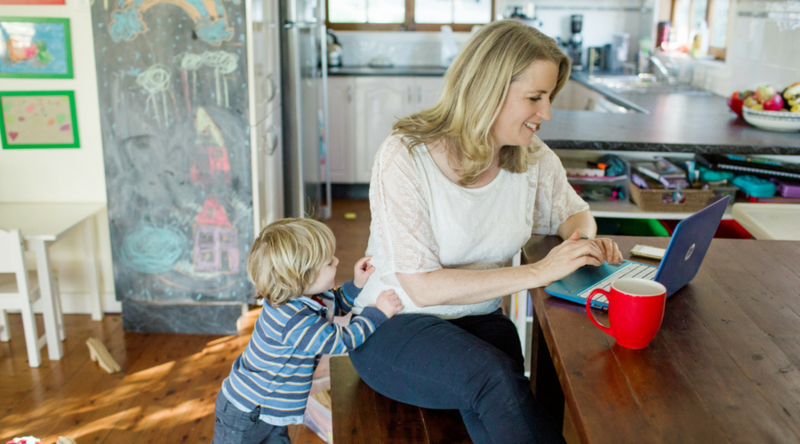 "I was at my wits end with my 3 yr olds tantrums and exhausting behaviour. I used to see tantrums as a negative thing. Now, from doing Helena's course I really understand why tantrums happen and not only that, but I've also learned how to 'be' with my son in these moments. 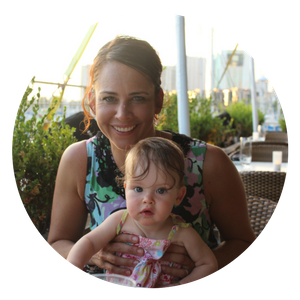 Helena's approach to this course is practical, honest and nurturing. 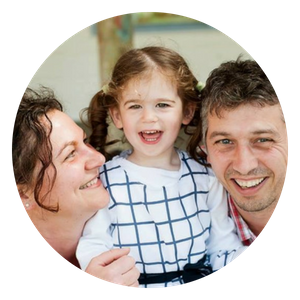 "I joined A2A as I was having difficulty with my daughter around sleep, separation anxiety and biting me. It has truly made my parenting style fun, easier to tackle behaviours and I'm more relaxed and enjoying it rather than being up tight, angry and resentful. I wish all parents could have access to this course. It was a lifesaver." "I just wanted to say a huge, big, thank you. I have loved the course - it was exactly what I was looking for. 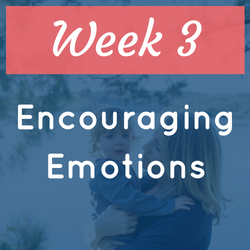 I had that niggling mum feeling that something wasn't quite right and with your help I was able to delve in and allow my son to have some emotions. The change in me as a parent has been positive and the change in my son has been amazing. That amazing connection is such a gift and the best present I could give him so money very well spent. 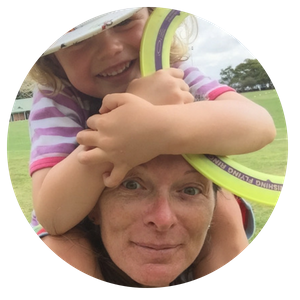 I'm Helena Mooney and I'm a Parenting Coach, Doula & Mum to 2 kids aged 10 & 4. When my daughter was born I thought I'd do things 'right' and things would be easy. Surely it can't be THAT hard?! I imagined myself to be calm & fun & patient & kind & loving & 'fully present' with her. Whilst also living my own life to the full. I ended up, you guessed it(! ), exhausted, frustrated & overwhelmed. I realised I wanted to find out more. My desire to be respectful & non-punitive, to hold boundaries and address challenging behaviour led me to do extensive research & discover incredible organisations & mentors. I became a Parenting by Connection Instructor and an Aware Parenting Instructor. Today, not only do I know how to parent the way I want to with my own kids, but I help other parents with their's. And I'd love to support you too.